The economic crisis of 2008 is over. All indicators show that the national economy is humming along. Yet, Long Island is currently mired in an foreclosure epidemic that shows little, if any signs of easing. The economic crisis of 2008 is over. All indicators show that the national economy is humming along. Yet, Long Island is currently mired in an foreclosure epidemic that shows little, if any signs of easing. For instance, in Suffolk County, at the end of 2016, there were just over 14,000 pending foreclosure actions, with approximately 300 new actions being filed each month. These statistics far exceed any other county in the state.Given the economic recovery, the causes of the epidemic must lay elsewhere. As a Supreme Court Justice assigned to a Foreclosure Part, I have concluded the cause is rooted, in part, in the unintended consequences of legislative actions designed to help homeowners. New York is one of the 40 percent of states that require judicial foreclosures, which involves the filing of a lawsuit to obtain a court order to foreclose a mortgage. The remaining 60 percent of the states utilize a non-judicial foreclosure process, where the borrower pre-authorizes the sale of property to pay off the balance of the loan and the creditor may not seek a deficiency judgment for the balance due and owing. Non-judicial foreclosures are intended to be quick and inexpensive. By the end of 2008, the New York Legislature scrambled to enact a legislative solution to the financial crisis by enacting consumer protection laws covering borrowers of “sub-prime,” “high-cost” and “non-traditional” home loans, the driving force behind the crisis. These sub-prime loans did not comply with the standards of Freddie Mac and Fannie Mae and carried a very high interest rate. Sub-prime loans locked borrowers into mortgages that they would not be able to afford. However, in 2009 and commencing on Jan. 14, 2010, these new consumer protections and legal procedural requirements were extended to all home loans, with an expiration date of Jan. 14, 2015. In 2014, these procedural protections were extended to Jan. 14, 2020. President Obama and his administration acknowledged that changes must take place at the start of the loan process—that is, at loan origination—and he signed the Dodd-Frank Wall Street Reform and Consumer Protection Act into law on July 21, 2010, which addressed and remedied the issues surrounding sub-prime loans. Today, nine years later, under New York’s newly-enacted additions to the foreclosure laws, the success of defending a residential foreclosure action will often depend on procedural challenges to the legal process which has been commenced by the lenders. The new procedural notice requirements, which implore the borrower to contact a HUD-certified housing counselor, are strictly construed, yet the issues of non-payment, and length of time since default, are often not a relevant factor in the disposition of these cases. 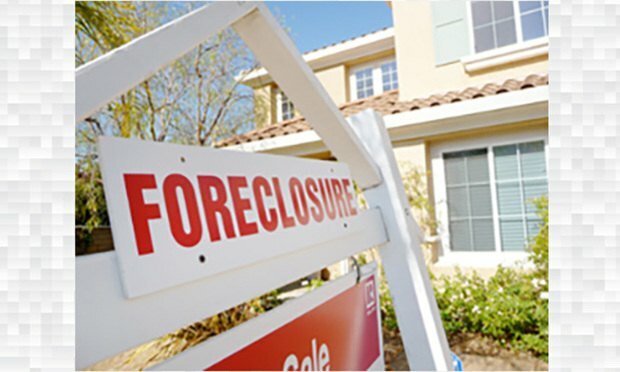 The new procedural prerequisites to foreclose have brought about unforeseen ramifications, which include the delay of the foreclosure process and the ever-increasing effect on Long Island’s economy. These new procedural hoops have restricted a lender’s right to foreclose on its security, even where a borrower is either unwilling to save his or her home from foreclosure, or is financially unable to do so. These protracted delays produce a heavy burden on the lender, with no positive effects on a borrower. The wave of foreclosures on Long Island is certainly one of the factors hindering the recovery in the local economy. The foreclosure slowdown further increases the supply of vacant homes, which lowers adjacent neighborhood home prices, which encourages strategic defaults by other homeowners and more foreclosure filings. With the new legal protections in place and the resulting delays in the court process, the concept of purposefully defaulting on one’s mortgage obligation has become more common place. In fact, a report prepared for the New York Post, as detailed in a May 7, 2017 article, showed that New York state is No. 1 in the country for repeat foreclosures and that 73 percent of all new foreclosures cases were re-defaults. In such situations, homeowners who received loan modifications as to an existing mortgage, soon thereafter stop making the new monthly payments. In the past few months, Newsday published an article about a homeowner who stopped making payments when his cosmetic dental restoration business took a downturn and now, after 10 years of litigation and two lawsuits, courts have ruled that his mortgage is unenforceable. That foreclosure was commenced before the financial crisis of 2008. In Malcolm Gladwell’s book, The Tipping Point, How Little Things Can Make a Big Difference, he describes the phenomenon when an idea, trend, or social behavior crosses a mysterious threshold and spreads like a virus epidemic. Just like how measles moves through a grade-school classroom, he notes that “Epidemics are sensitive to the conditions and circumstances of the times and places in which they occur.” He offers examples of how little causes can have big effects. For instance, take the Broken Windows theory of crime (by ignoring petty crimes society encourages more serious actions). The impetus to engage in a certain kind of behavior is not coming from a certain kind of person but from a feature of the environment. As an illustration, take fare-beating in the NYC subway system. Once two or three people began beating the system, other people, who might never otherwise have considered evading the fare, will join in, reasoning that if some people weren’t going to pay, they shouldn’t either. The problem will snowball. An epidemic can be reversed by tinkering with the smallest details of the immediate environment. Social scientist studies have shown that good, well-meaning students, when presented with an opportunity to cheat on a test, will often do so. So context matters and small elements in the environment can serve as “Tipping Points.” A number of relatively minor changes in our external environment can have a dramatic effect on how we behave and who we are. How does all this relate to the foreclosure epidemic? We all know that circumstances change throughout the life of a mortgage that may make default and foreclosure unavoidable. A life-changing medical condition or sudden loss of long-time employment are factors that can thrust a borrower into a mortgage default. But something more is occurring and it is accelerating the foreclosure epidemic. Instead of seeking the legislatively mandated solutions of a loan modification, a short sale or a deed in lieu of foreclosure, often times, the goal, as expressed by some attorneys for borrowers, seems to be one of endless delay, by taking advantage of a lenders’ procedural errors. Whether it is by simple word of mouth throughout each neighborhood or as advocated by an ever-growing circle of zealous attorneys representing the defaulting borrowers, the foreclosure epidemic is spreading throughout many communities. As the local neighborhood environment changes, one’s behavior and attitude changes. The legislatively-imposed changes to the previously uneventful law of foreclosure has unleashed unforeseen consequences. More homeowners are reaching the “Tipping Point” on whether or not to continue their contractual obligation to lenders. Despite the heroic efforts of judges and court personnel in Nassau and Suffolk Counties, to reduce the backlog of pending cases (in Suffolk there is now fewer than 11,000 pending cases), the threshold is approaching and the issue is reaching epidemic proportions. So is the answer to enact more legislation, such as creating “special carve-outs” in existing laws to further slow down foreclosure actions? Is the answer to coerce judges to slow down actions even more? Alternatively, do we look to what little details of the immediate environment that can be tinkered with to reverse the trend? First, the expiration date of the new consumer protection laws should not be extended beyond the current expiration date and the laws should be permitted to revert back to protections for borrowers of “sub-prime,” “high-cost” and “non-traditional” home loans. Second, the courts should insist that decisions on the never-ending motions involved in foreclosure litigation are rendered within 60 days, as required by current law. These small changes will go a long way to reverse the current foreclosure epidemic. The elimination of such protections, 10 years after their emergency enactment, coupled will swifter legal determinations on the merits of the issues, will eliminate the growing incentive to default on a mortgage contract. These small, but positive steps, will help all local communities and help to quickly revitalize the Long Island economy by unleashing the real estate market to reach its full potential. Only then will the LI foreclosure epidemic be contained. Thomas F. Whelan, a Supreme Court Justice sitting in Riverhead, N.Y., submits this in response to a March 12, 2018 article in the NYLJ’s Commercial Litigation Special Section, titled “Juxtaposition in Foreclosure Defense Litigation: Legislative Intent vs. Practical Reality” by Pankaj Malik. This entry was posted in Uncategorized on November 30, 2018 by dboggs07.